Posted Tuesday, July 27th, 2010 by Greg Gladman. Single-pass and multi-pass laser printers vary in speed, cost and sometimes quality. So, which is best-suited to meet your needs? 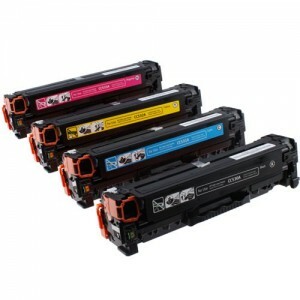 Most color laser printers have four toner cartridges – cyan, magenta, yellow and black. The primary difference between single-pass and multi-pass printers is that each cartridge has its own drum in a single-pass printer and all four cartridges share a single drum in a multi-pass printer. A drum can only apply one color of printer toner at a time. When a sheet is fed into a single-pass unit, all four colors of printer toner can be applied simultaneously as each cartridge has its own drum. Thus, a single pass is all that is required to produce a complete color document. This printing method is the most efficient but maintenance costs could add up as four drums must be maintained. Because only one drum is used in multi-pass printer, each color must be applied separately, ultimately requiring up to four passes per document. Clearly, this process will take considerably longer than the single-pass method but it will be far more affordable to maintain the single drum unit. Besides the slower speed, quality could also be an issue with multi-pass printers. If the sheet of paper or the drum shift during a job, the colors could overlap or not align correctly, corrupting the image. This shouldn’t happen often, but note that the possibility does exist. To offer a comparison, let’s look at two popular HP laser printers that use either printing process. The HP LaserJet CP2025 is a single-pass color laser printer that is office-oriented and can generate up to 20 pages per minute. That equates to about 3 seconds per document. The HP LaserJet 2550, on the other hand, is a multi-pass color laser printer that is designed more for small workgroups and home offices. Its maximum output rate is only 12 pages per minute or 5-6 seconds per document. Though that may not seem like a big difference, in a fast-paced environment, it can have a major impact on productivity. Of course, there are many other elements that you should look at to determine the appropriate printer for your needs. Which printing process works better is completely contingent on what is important to you. If speed is essential, the single-pass method is the clear choice. However, if speed takes a backseat to affordability, you may want to consider a multi-pass printer. In general, both will provide color documents that meet high-quality standards, though the multi-pass option may be a bit more of a risk in that department.